‘Tis the season to indulge in all things festive and nothing says Christmas like the beginning of the Department of Housing and Community Development’s annual delivery of Lions Christmas cakes. 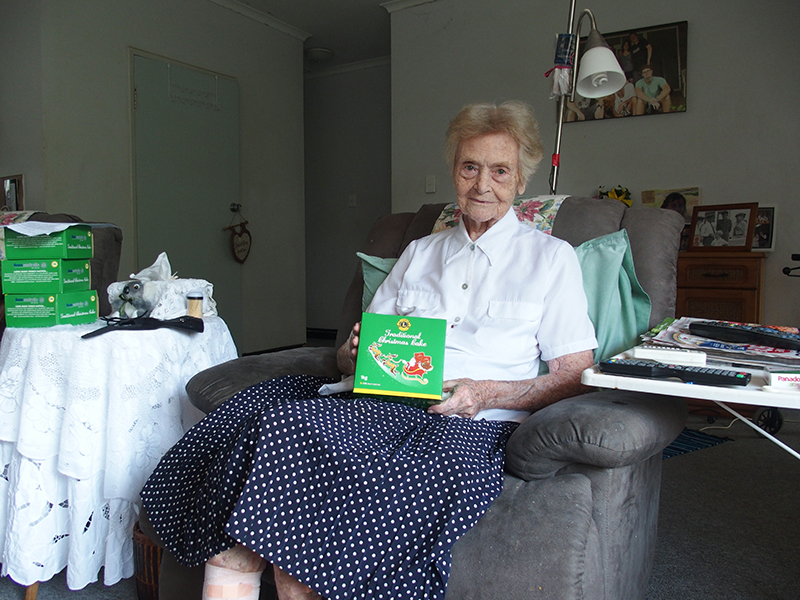 This year, 52 staff from across the department have come together to help deliver over 1700 Lions Christmas cakes and cards to senior public housing tenants across Darwin, Casuarina and Palmerston and more than 700 cakes across Katherine, Alice Springs and Tennant Creek. Delivery in Darwin commenced on Wednesday 7 December in a ‘rally’ style event as staff formed teams and checked in at points along the way. Ken McAloon from Lions Club said it had been a pleasure to manage the department’s orders for the past 10 years and he is greatly appreciative of the hard work staff put into the annual delivery of Christmas cakes. Hand delivering cakes is a great opportunity for department staff to chat with senior tenants and offer a little company and support at a time of year that can be very lonely for many.